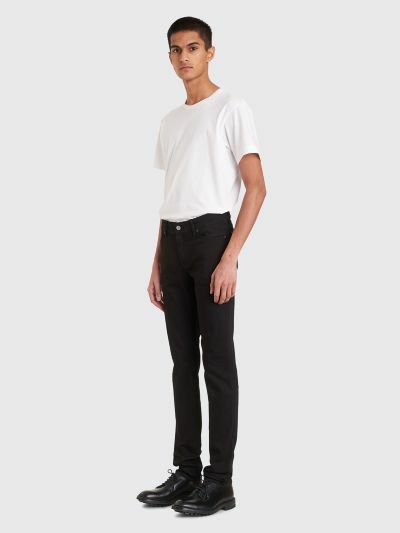 Jeans from Acne Studios Blå Konst. Five pocket style with zip fly and button closure. 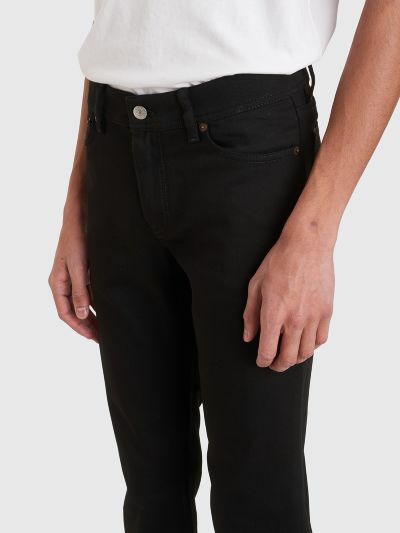 Belt loops at the waist. Branded metal hardware at the front. 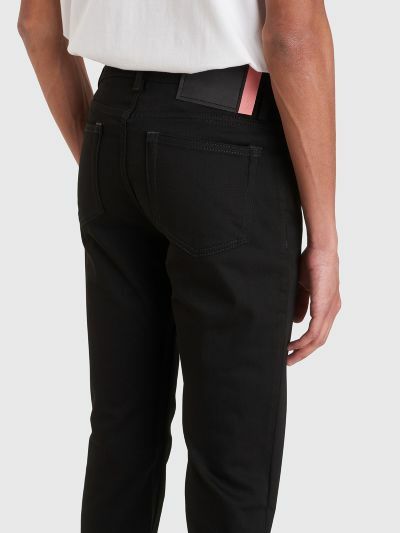 Hidden metal rivets on the back pockets. Lined back yoke. Tonal top stitching. 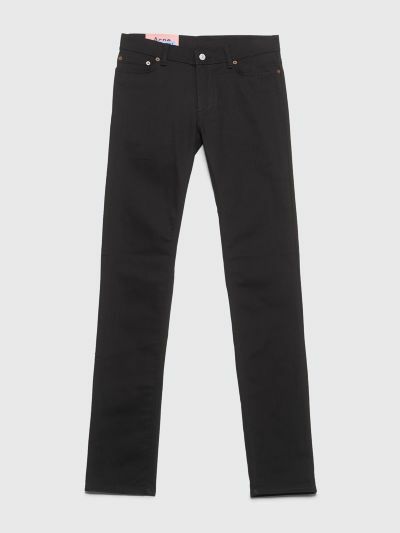 Black jeans. Made in Italy from 94% cotton, 5% polyester and 1% elastane. Metal hardware. 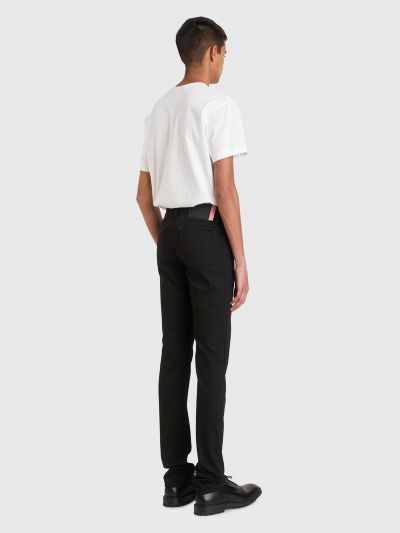 Slim and tapered fit. Model is 185 and wears size 29/34.